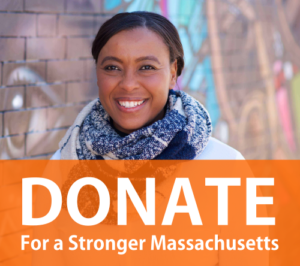 Jamaica Plain News: Nika Elugardo has had an impressive career so far. She was a senior policy advisor to state Sen. Sonia Chang-Diaz, founded departments at the Emmanuel Gospel Center to provide education, youth violence prevention and anti-trafficking and more. Her next career move is challenging state Rep. Jeffrey Sanchez for the 15th Suffolk/Norfolk District seat. “It’s been an incredible honor to see how our message of opportunity, prosperity, and justice for all has been met with such enthusiasm in the community, especially as we move toward our official kickoff,” said Elugardo via press release. “It’s time to bring the power and voice of the people back to the State House.” Elugardo’s kickoff party is this Thursday (March 29th) at the Frogmore restaurant starting at 6 pm.